Thank you Sol Alpaca and Mom It Forward for sponsoring this post. As always, all enthusiasm is my own. I start my Christmas shopping in the summer, but there are a few people that I can't find gifts for until the last minute because they are so hard to shop for. These are the people that buy the things that they need when they need them, so there aren't many options left for gift giving occasions. I have given gift cards in years past, but they seem so impersonal. For these people, I like to give them a luxury item, something that they wouldn't buy for themselves. 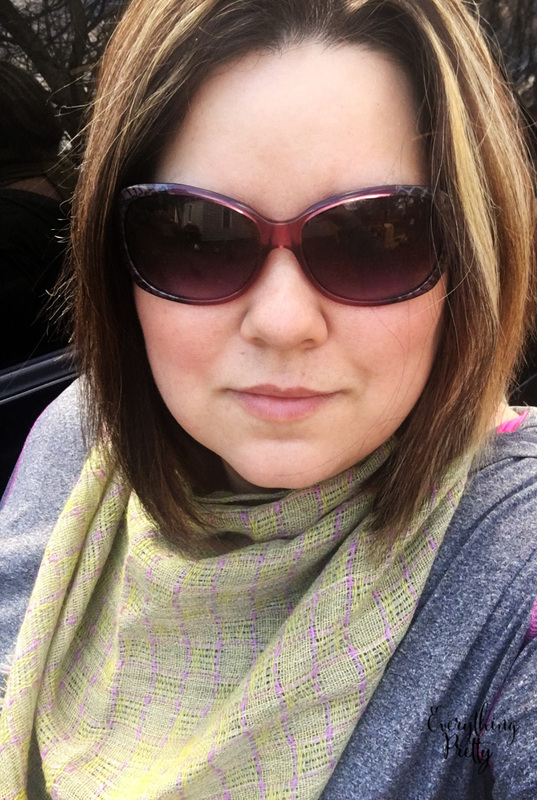 It gets cold here in Ohio, so scarves, sweaters, and warm weather gear are always a good choice. Can you keep a secret? A few lucky people on my Christmas list this year are getting Sol Alpaca scarves for Christmas. Keep reading to see why I love them for gifts. Sol Alpaca is made in Peru, a country with a long tradition of creating textiles. 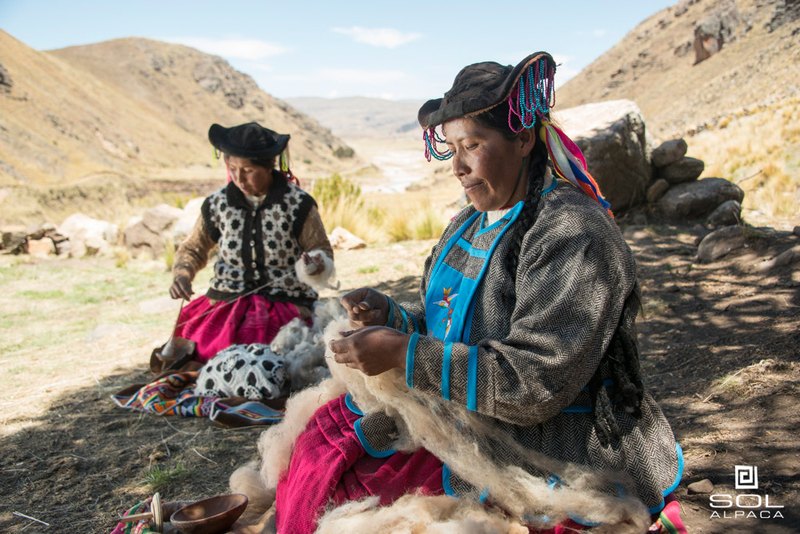 Their products are made with fibers from the alpaca and vicuña by the Andean people. They use a range of 32 natural shades to create beautiful garments and accessories. Sol Alpaca generously sent me a triangle scarf in green and purple. It's a lightweight scarf, so it's not too bulky to wear, even when I wear a coat. I was honestly surprised that such a light fabric could keep me so warm, but it most definitely did. And the color? Oh my, it is gorgeous! I wore it over a gray shirt, but it could be matched with so many colors. I really liked the look of the triangle scarf worn in the center in the front, but it can also be worn on one shoulder or on your back. Sol Alpaca has a variety of pieces for both men and women, so I can cross several people off my list this year with just one order. I think I'll order a pair of gloves for myself! Head on over to their new online store and use code StoreLaunch2015 to save 10 percent off your first order until December 31, 2015 when you subscribe to their newsletter. They are also hosting a giveaway for one of my lucky readers to win a 30 percent discount (off regular prices items only). 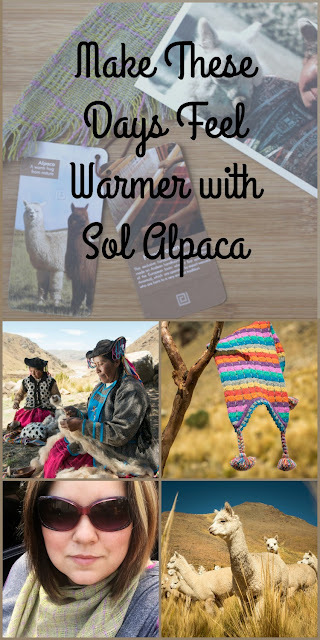 To enter, visit Sol Alpaca and leave a comment below with your favorite item. Don't forget to include your email address in your comment. Giveaway ends 11/21 at 11:59 EST. Good luck!